Rajinikanth adds a charm to the films like no other Superstar can ever accomplish. He is a brand in himself and we bank on his for wholesome entertainment. His are the films that have a commercial value and are also value for money. While the name is enough reason to make us throng in the long queues for the movie ticket, there are many aspects that his films boast. Here are Top 10 reasons to watch Rajinikanth film. Rajinikanth is not only the highest paid Asian actor after Jackie Chan but he has mesmerized the international audience as well. His film ‘Muthu’ has grossed US$1.6 million in Japan. The actor has a huge fan following in Japan. Rajinikanth’s films often contain a social message. Every film tackles a unique subject with utmost seriousness and have an intriguing storyline. Rajinikanth’s films explore the never-before-seen locations of India. They are often shot in India and bring out its exotic side. Rajinikanth is a mesmerist. His charm, his style and his magic is a crowd puller. One cannot pit him against anyother Indian actor because his action, reaction, walk and talk is one in a million. Rajinikanth have given us something extra to munch alongside the entertainment quotient. He has treated us with the exceptional VFX. Such is the effect that you can’t bat an eyelid while watching the elements splattered onscreen. 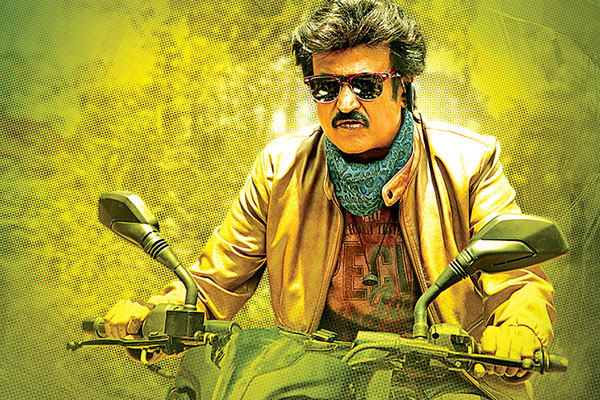 Rajinikanth’s film balance out the action sequences with quirky antics by the actor. He is known for his impeccable comic timing and one would often see him teaming with first-rate comedians of the industry to deliver the best to the audience. It is impossible to image a Rajinikanth film sans action. It is often anti-gravity and the sequences are worth a watch. Rajinikanth effortlessly overthrows his enemies. Rajinikanth’s films are value for money. Not only do they deal with sensitive issues but boast equally appealing song and dance sequences. Dialogues are the primary USP of Rajinikanth’s films. These witty dialogues add to the zesty actions and keep the audience hooked. There is not one but several elements in Rajinikanth’s films and these bunch of novel elements make it worth a watch. Every film of Rajinikanth has something new to offer and never will you see a quintessential element in a Rajini film. Catch the Superstar live in action at the premiere of Lingaa only on &Pictures.